There is a common folk belief in Mexico—going back to the Aztecs—that hummingbirds bring love and romance. This lovely Hummingbirds quilt pattern makes a perfect gift for an engaged couple, a wedding, or an anniversary celebration. 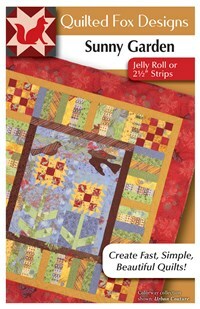 Great quilt for Jelly Roll 2 1/2" strips. 54" x 72". Traditional, scrappy, antique feel that only looks complicated! 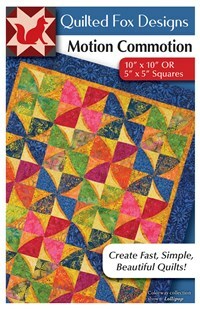 Kaleidoscope of Color is a simple, classic, charming quilt pattern. If you only make one quilt in your life, this is the one to make. Easy quilt with Layer Cake 10" x 10" squares. Finished quilt size 66" x 79". Sunlight dapples through the leafy branches as the breeze whispers gentle hints of the coming fall. The Lemongrass quilt pattern stirs your soul with rich earth tones that will complement any decor. The 10-minute block technique allows you to make this quilt in an afternoon. 2 1/2” strips and 10” x 10” squares. Throw size: 60" x 83". Got strips? Batiks and hand-dyed fabrics just go together naturally, and the combinations are simply gorgeous. Easy strip sewing makes the Mango Margarita quilt pattern perfect for the novice piecer. Because it is so quick and easy to assemble, it’s a wonderful project for a charity drive and fabulous for gift giving. 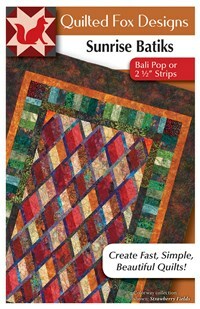 Great quilt for Bali pop or 2 1/2” strips. Throw size: 60" x 76". Create table runners you’ll love—and dress up your table for holiday dinners—with the Quilt & Learn Table Runner quilt pattern. Now you can sew unusual angles easily. The Hidden Folds technique is a great beginner project! 18” x 22”. Fat quarters. Throw size: 18" x 54". Sunlight spills into rainbows of color playfully captured in cloth, with an easy strip pattern that provides a pastel stripe illusion. The delightful Rainbow of Colors quilt pattern lights up any room with its happy colors and charming motifs. Perfect for every child and child-at-heart, this log cabin will be a family favorite. 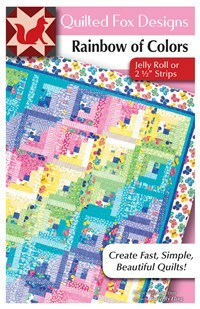 Great quilt for Jelly Roll 2 1/2” strips. Throw size: 86" x 100". Round & Round quilt pattern will show you a simple applique technique for perfect circles every time. 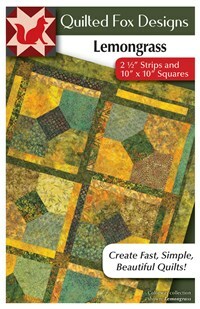 It is an easy big-block pattern for 10″ x 10” squares and for strip-happy 2 1/2” strips. Quilt size 58″ x 81″. 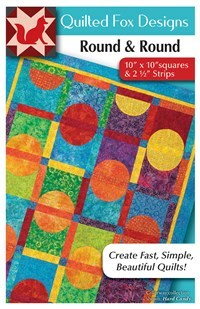 Create a colorful garden full of texture, pattern and endless variety with the strip happy Sunny Garden quilt pattern. Simple techniques, easy appliqué, bright colors: enjoy your sunny garden all year long! 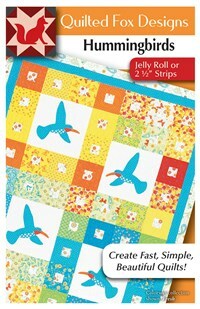 Great quilt for Jelly Roll 2 1/2” strips. 56” x 64”. Rediscover the blessing of a sunrise with this luscious quilt. 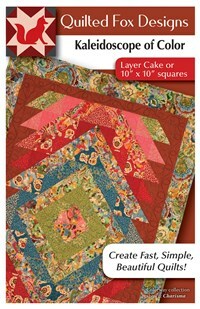 The Sunrise Batiks quilt pattern features easy step-by step instructions for sewing a beautiful diamond-pattern quilt. Stunning colors combine in diamonds to make it colorful and meaningful. 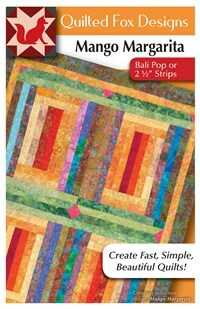 Great quilt for Bali pop or 2 1/2” strips. Throw size: 55" x 75". Bright and bold, the Tutti Frutti quilt pattern proves that primary colors aren’t just for kids anymore. 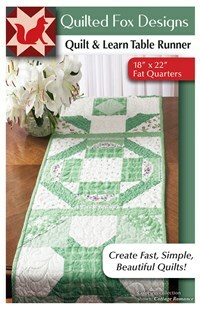 Jazz up the family game room or media center with a quilt large enough to share. The 10-minute block technique makes this one fast, fun, and oh-sew-easy! 10-minute blocks. 18” x 22” fat quarters. Throw size: 74" x 110". 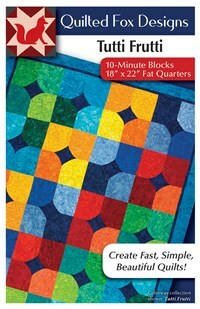 Great quilt for 10” x 10” squares or 2 1/2” strips. 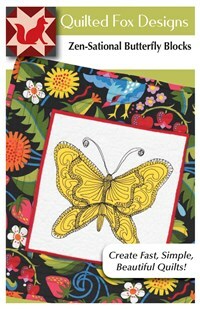 Inspired by Zentangle, the Zen-Sational Butterfly Blocks quilt pattern introduces you to the freedom of free-motion stitching for quilt applique. Create one-of-a-kind butterflies that are truly eye-catching. Working with repetitive tangle patterns induces a meditative state and a feeling of calm. 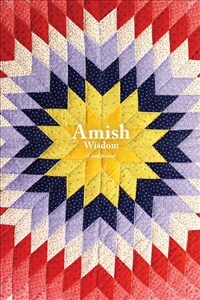 Amish Wisdom enriches the journaling experience with sage advice for practical living. 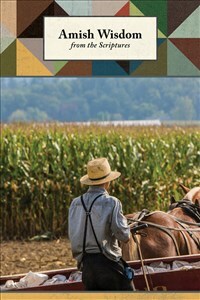 Filled with folksy, humorous quotes from the Amish oral tradition, it offers insight into authentic “Pennsylvania Dutch” culture. Amish Wisdom from the Scriptures enhances the journaling experience with spiritual truths that convey the simple wisdom of the “Plain” lifestyle. Filled with beloved Proverbs that play a daily role in Amish speech, it offers insight into authentic “Pennsylvania Dutch” culture. 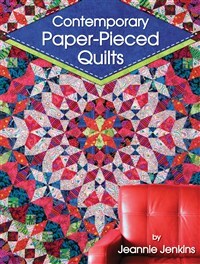 This modern and contemporary introduction to foundation piecing offers eight simple, skill-building projects that progressively build the quilter’s confidence to try more involved patterns.